After my meringue adventure last weekend I'm challenging myself to take 'meringue' one step further. Don't forget I was/am never a kitchen princess to begin with. I'm very happy with what I've achieved so far in my kitchen. We are having some friends over this weekend ; dessert is my task and I'm taking this very seriously. Now, I was wondering what I would make - what I like best and what dessert I loved and wanted to eat over and over again. I once ate 'espuma' for dessert made by this great chef who owned a little resto called Karper. Unfortunately this place closed down a couple of years ago so I can't go back and try to find out what all those flavours and ingredients were .. it's a secret gone forever ! What a waist. This must have been the best dessert ever on my list. Now, I have a friend, Kev and he owns De Mosselbeurs in Oostende. We got to know each other via Twitter and I first met him 'live' in 2009. He made a dessert, especially for me and he knows whenever I'm at the West Coast, he needs to have all these lush ingredients to make me an Eton Mess. Diet or not, he always fixes me one - a smaller portion if required so. 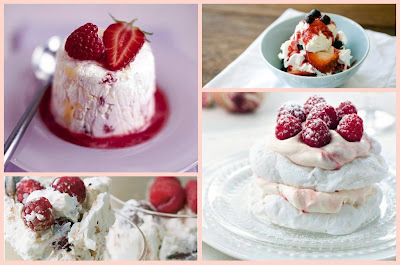 In honour of Kev and his version of Eton Mess, I will make this on Saturday and will call it Kev's Mess. recipe and pics will go online after the weekend !